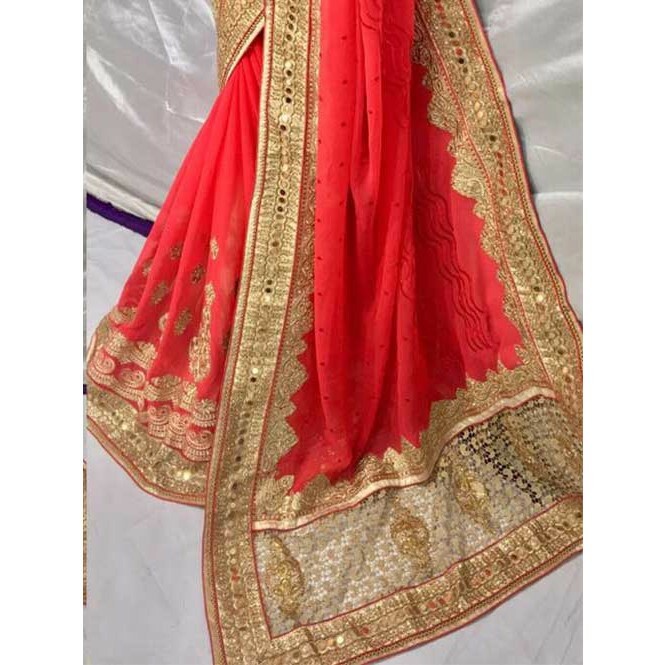 This is a Silk indian Mirror work saree en-crafted with Lace Work. 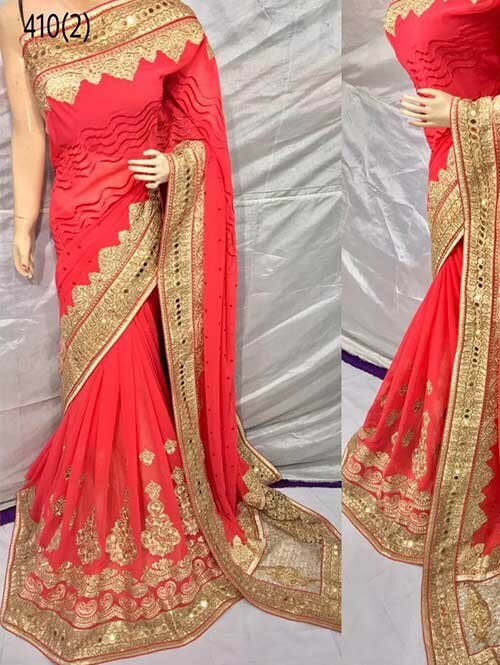 This saree comes with an attached Pure Bemberg blouse fabric which can be customized from 32" to 44". 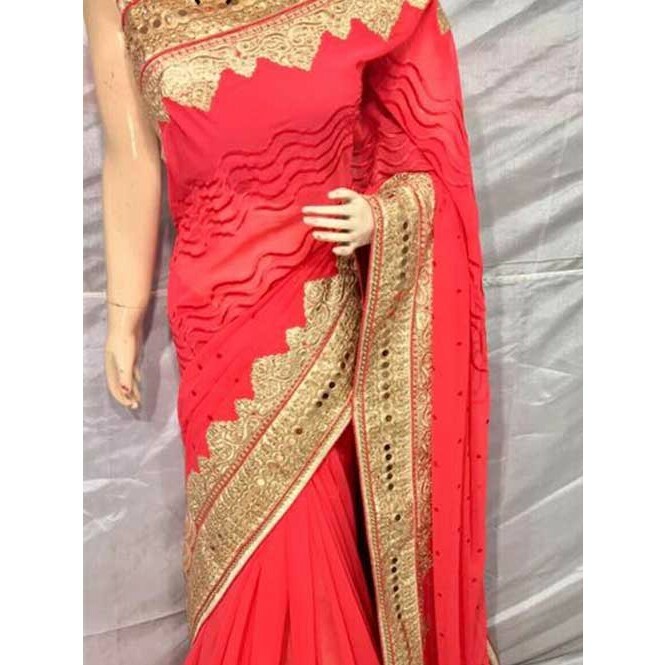 Wear this saree for special occasions, festivals, friends/family get-together, parties, ceremonies or rituals. 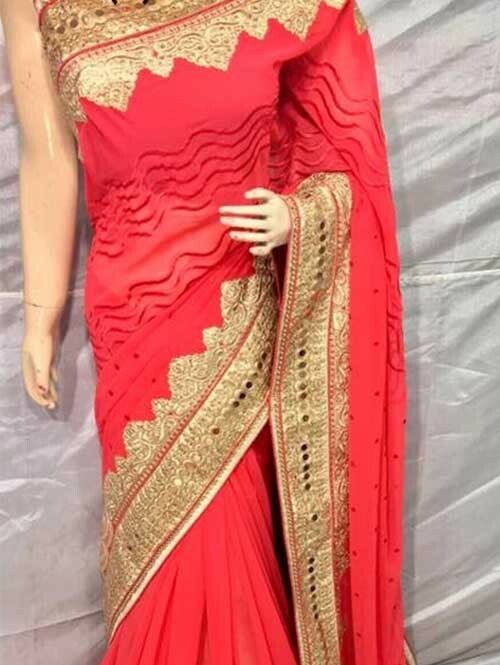 If you like you can also wear this as a evening wear fancy saree. 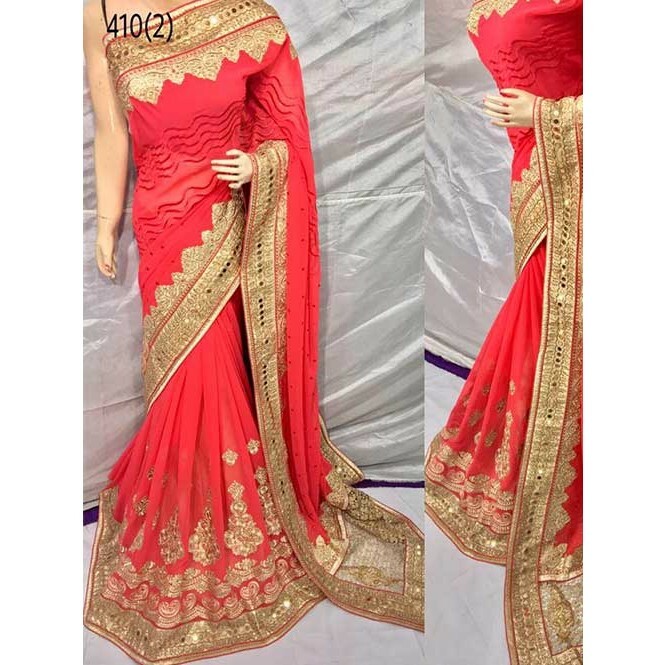 It is a mirror lace work design saree which is the latest and trendy design innovation and is highly appreciated design inspired by 2017 ethnic trends. It is an exclusive design which you can surely buy. 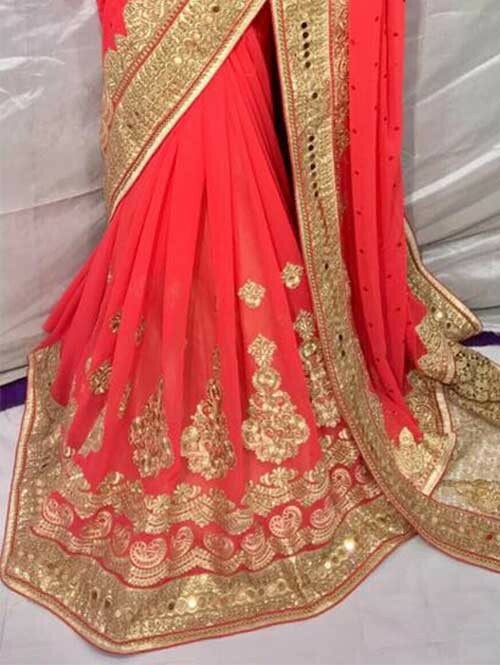 Blue Colored Beautiful Heavy Embroidered Original Saree. 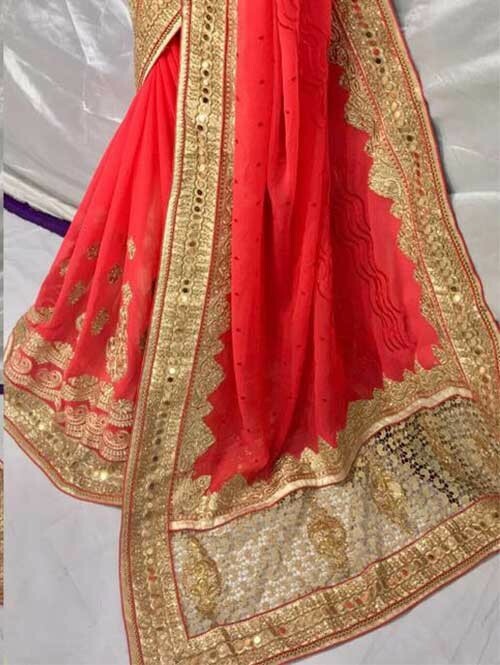 Green Colored Beautiful Heavy Embroidered Original Saree. 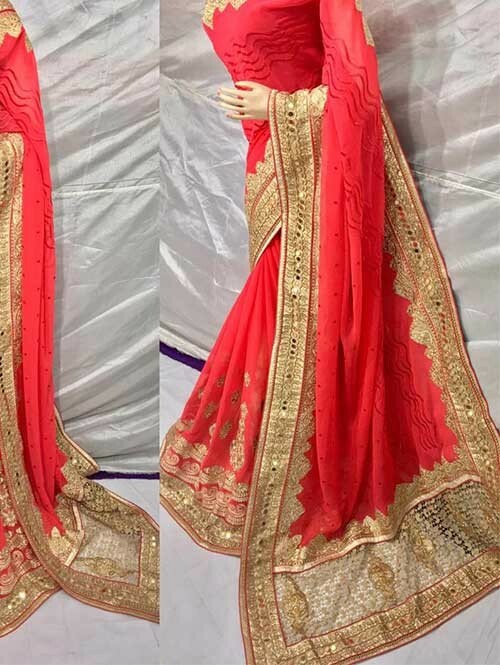 Red Colored Beautiful Heavy Embroidered Original Saree. 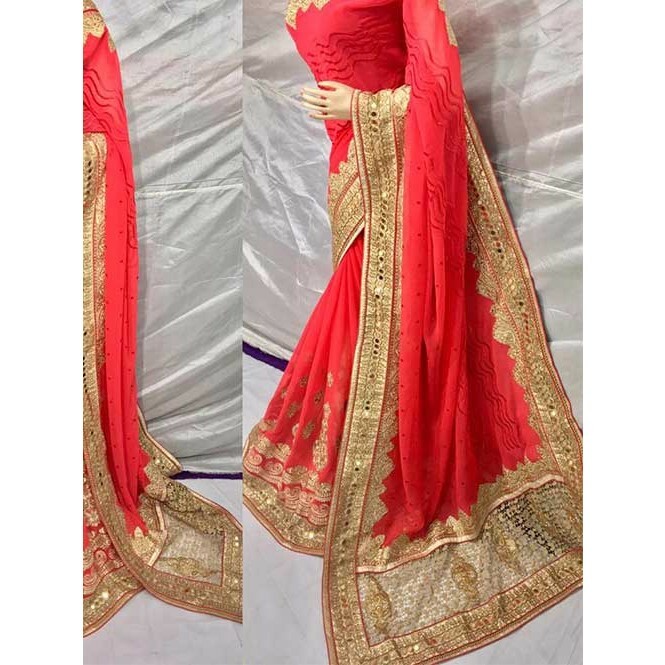 Orange Colored Beautiful Heavy Embroidered Original Saree. 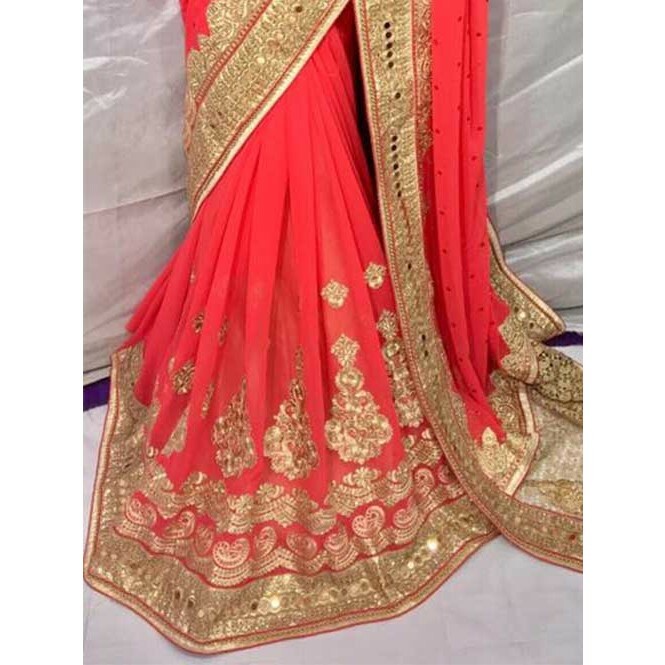 Pink Colored Beautiful Heavy Embroidered Original Saree.